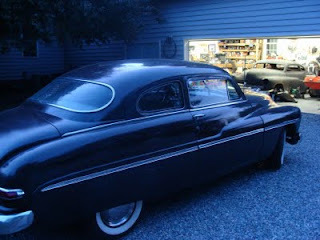 This is just after I cleaned up the 50 Mercury at it's new home. You can see the "old" Mercury sitting in the garage. I think it was right about here that I decided that I needed to sell off my other projects and concentrate on the "new" Merc.